A modern granny flat is ideal if you want to provide housing for your elderly relatives, you need a teenage retreat or you want to earn some rental income. They come with at least one bedroom, bathroom, kitchen and living area and can be designed to suit your exact needs. However, with so many different designs available, it’s often difficult to decide which is best for your requirements. So if you are in the market for a modern granny flat, here are a few inspirational designs to consider. Depending on the design of your main house, you might want to follow that design onto your modern granny flat by including the same type of external or internal architecture. At Queensland Granny Flats, we can match the architecture of your granny flat to your home quite easily! If you have a limited amount of space available and want to focus on utility more than anything else, then a minimalist design might suit your needs. This type of modern granny flat is ideal if you are on a limited budget as well, and want to increase your household income by renting the flat. With a beautiful veranda to while away a few lazy hours in the afternoon, a contemporary cottage design might tick all your boxes. This type of modern granny flat includes all mod cons, but from an aesthetic point of view, it also oozes a ‘back to nature’ cottage feel, so loved by many homeowners. These can include a few steps up to the veranda and living areas to offer a clear separation between the main house the granny flat or can be raised up on poles to provide car parking underneath and access to a beautiful view. These are different to the contemporary cottage designs in that they seem to disappear into the landscape, offering the ideal of complete separation between the flat and the main house. This design is ideal for larger properties with lots of trees and extensive landscaping. To discuss your ideas for your own modern granny flat on your land, call us on 07 3209 4623 for a chat about your needs. What styles of accommodation do granny flat builders offer? 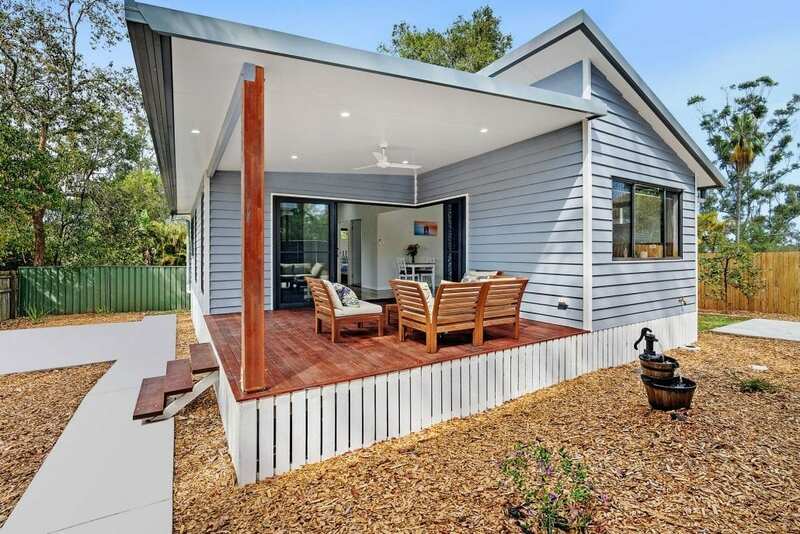 Are granny flats in Brisbane a good investment?